We rely on our smart phones for virtually everything including business these days. In fact, smartphones is quickly replacing PCs as the preferred computing solution. But, if the mobile signal is weak and the user can’t get connected, all the potential of this technology is rendered meaningless. So the quality of the mobile signal is finally starting to get the attention it deserves. Fortunately, you can buy a cell phone signal booster to ensure you have all five bars whether you are in your home, vehicle or workplace. 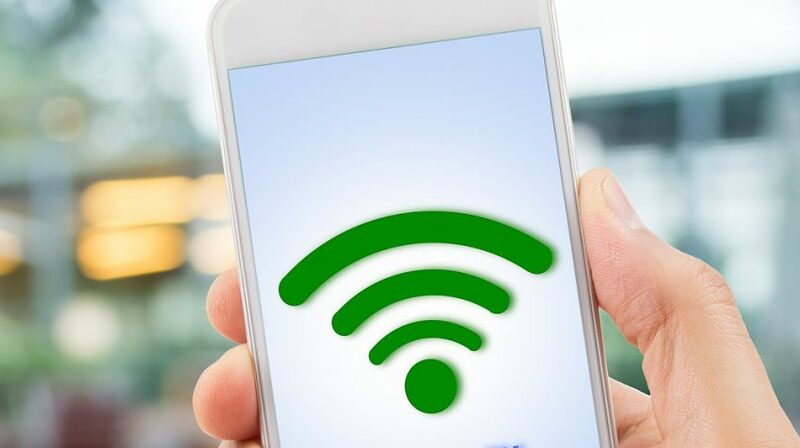 If there is any kind of interference the signal becomes weak and the end user may experience dropped calls or be unable to access the information they need online or on a connected app. A cell phone signal booster takes an outside signal and amplifies it in order to broadcast it in a location that has no signal or where the signal is very weak. In order to make this happen, it uses an external antenna, a signal boosting amplifier, and an internal antenna. During the buying process, suppliers will often ask what the outside signal strength of the cell phone is where you intend to install the booster. This is because a strong signal will cover the intended footage of the device. The outside signals are identified as strong, medium and weak. If you’d like to gauge the actual strength of your outside signal, then you can put your phone into field test mode. This will display the actual decibel reading of the current signal. It is different for each phone brand, so consult your manual or ask your service provider. Don’t forget to keep track of the network, whether it is 2G, 3G, 4G, or LTE. You can use this information to buy the right signal booster. Signal boosters are categorized by how much coverage they provide. This, of course, depends on many different conditions, and in most cases they have to be ideal to deliver the specifications the manufacturer has listed. Because obstacles to receiving a clear signal may vary — for instance, the construction materials in your home or office or an obstacle like a nearby building — you should try to purchase a booster with the most powerful signal possible so it can function under any conditions. If you don’t have a clear understanding of this issue, call the company so they can select the best product for your needs. The best companies have interactive websites which let you select the right signal booster for your needs. Panel and dome antennas are used for indoor installations and they each provide a specific function. A panel antenna broadcasts and receives the signal in one direction, while dome antennas use the signals in all directions. Outdoor antennas are pretty much the same but with different names. Omnidirectional antennas are able to send and receive signals in all directions, and Yagi antennas, just like the panel antenna for indoors, only send signals in a single direction. After the antenna installation, you have to make sure the cable you select is of high quality. Depending on the type, quality and length of the cable you use, the signal loss can be somewhat controlled. If you want the best performance, use the shortest and highest quality cable you can afford. The booster you choose depends on convenience and how much you’re willing to spend for it. A cradle booster only supports one phone and you have to place it in the holder and use a Bluetooth connection or speakerphone to make and answer calls. However, it is considerably cheaper than a wireless booster. If you choose to go the wireless route, you will spend more money, but the technology supports multiple callers and you will be able to use the phone normally. The performance of a cell phone booster is regulated by the Federal Communications Commission (FCC) and the rule it enacted in 2014, which limits how much an amplifier can magnify a signal for vehicle and fixed devices. Amplifiers are rated in decibels (dBs) and according to the FCC, fixed booster maximum noise power shall not exceed -102.5 dBm/MHz + 20 Log10 (Frequency). For a mobile booster, the noise power shall not exceed -59 dBm/MHz. Once you find the right power, the unit you buy should have multiple frequency bands (up to five if possible), including 850 MHz (cellular) and 1900 MHz (PCS), 2G, 3G, and 4G signals. Cell phone booster installations can get complicated depending where it is being installed. It will depend on whether it is in a building, a vehicle or whether the installation is indoor or outdoor. In either case, if you are not familiar with this technology and the use of power tools, you should consider having someone install the equipment for you. If you don’t want to go through all that trouble, you can opt for plug-and-play cell phone boosters that don’t require you to be a handyman. The quality of the cell phone booster you purchase will determine how the manufacturer will support its product. Established companies have two and three year warranties with 30 or 60 day money back guarantees, as well as tech support. Depending on the company, the support can be through the phone, email or live chat. The agency asks that you verify your provider has given permission, or get permission from your wireless provider to use the signal booster, and have it registered. You can go to the FAQ page of the FCC and find out the latest regulations. If you are in the market for a cell phone signal booster, take your time and find a reputable company to get it from.